A big thank you to the Universe. Thank you to God. Thank you Rhonda Byrne. Thank you to my coach Mohit sir. Thank you thank you thank you. I tried to get my other two stories published here but it didn’t happen. Still I can’t stop myself to try one more time. I’m also very thankful to all of you people who are writing your stories here to inspire us. It’s a big support. Thank you from bottom of my heart. I’m a working girl. I love travelling to beautiful places. I always have travelled with my family. So, I wanted to travel alone somewhere independently. 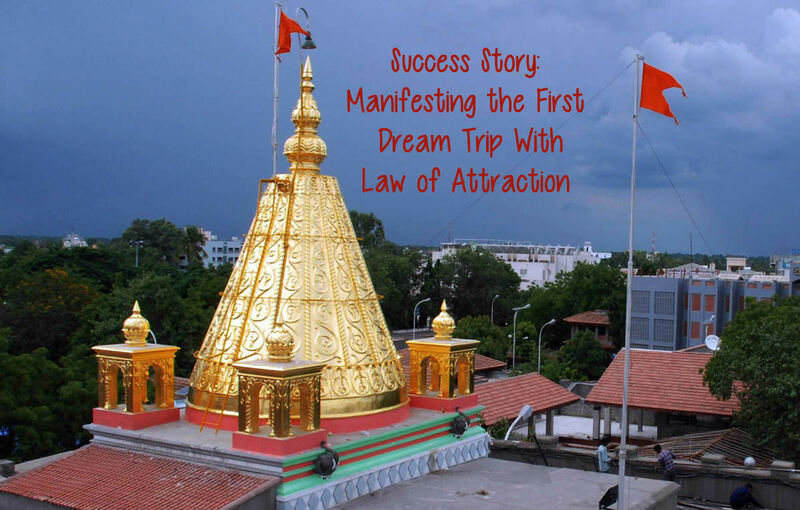 I chose my first independent trip to Shirdi. I believe in God a lot. So I chose this place. But it was not as easy as I thought as I am a girl so my family was not allowing me to go alone. I talked to almost 13 friends to go with me but none of them was free during those days. After trying so hard for a month I was magically able to convince my family and I had the most amazing trip! During all those days I was continuously getting magical cues from the Universe which helped me a lot to not give up on my desire. Thank you, thank you, thank you, thank you Universe! I have a lot of more to post here. I will soon be writing again here about the most beautiful desire of mine. Thank you all for reading.